With many of the schools on half term holiday next week, there will be no Troop meeting on Friday 28th October. We hope you all enjoy your time off, and of course Halloween, and look forward to Scouts re-starting on Friday 4th November. That meeting will be a bonfire for the Group and their families, and more information will be posted about that soon. At Scouts we have many different items of equipment which are used on things like hikes, expeditions and activities at the headquarters. Recently, an audit of our equipment has found that there are some items missing, mainly compasses. It could be that they have been taken by accident, for example left in a coat pocket or in a rucksack. We ask that you take some time to check and see if you have any Scout compasses (or other equipment) and return it to the next meeting. No one will be in trouble if they return an item, and there will be a box on the table in the entrance hall where they can be placed. 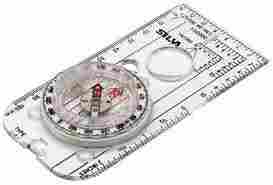 We would just be grateful for some of the compasses coming back, as they are quite expensive to replace.